Think life insurance is “TOO EXPENSIVE”??? Well it’s really not. Even if you get a 10 year term policy for $150,000 your rate is going to be between $20-$100/month depending on your age, nicotine use, driving record, and overall health. To put it bluntly your cell phone and your cable bill are easily $100/mo each if not double that. So for the budget conscious let’s look at some options. I use that term budget conscious loosely, because if you’re spending $200-$300/month between your cable and cell phone you should be able to spend a few dollars on YOUR FAMILY and protecting them. 1. Create a budget. Track your expenses: knowing where your money is going may help you identify areas where you can easily reduce your spending. There are many free money management tools and apps that can assist you with this. 2. Quit smoking. It benefits your health, and a pack-a-day smoker can save over $2,000 per year based on the average cost of a pack of cigarettes. Non-smokers can also expect lower life insurance rates – all other factors being equal – than smokers. 3. Bring your lunch to work. By not spending just $5 a day you are looking at saving about $1,200 a year. You don’t have to bring your lunch every day: even bringing your lunch every other day can result in savings that can help cover the cost of a life insurance policy, and possibly even more. 4. Eat out one less time per month. If it costs you about $30 on average each time you go out, reducing this number by once a month will allow you to save over $300 a year. If you eat out and have 2-3 children with you this figure will be even more staggering. 5. Bring coffee from home. Do you spend $3 a day on coffee during the work week? If so, this can add up to $720 per year. Cutting this number in half can result in significant savings. 6. Save your loose change. It may not sound like much, but setting aside fifty cents a day over the course of a year will allow you to save more than $180. 7. Take advantage of all company benefits and discounts. Your company may offer corporate discounts on gym memberships, cell-phone data plans, hotels, concerts, etc. that can help you save. 8. Organize your closet and garage. This can have a number of advantages. You can save time in the long run knowing where everything is located, and you may find forgotten items, reducing the need to purchase new ones. Consider consignment for items you no longer want to keep. Go ahead and donate old and unwanted/unused items and write that donation off on your taxes. If you are the type of person to hold a garage sale, you can sell those items for cold hard cash. 9. Research major purchases. Check product reviews, price comparisons, features, and other aspects of any product you are looking to purchase. Wait for sales for additional savings and discounts. A little research and timing can save big on a purchase. 10. Start small to save big. Starting with some small steps, you can easily find the money to pay for life insurance. The hardest part of any change is getting started. Once you do, things usually start to fall into place, the process becomes much easier, and you can begin to recognize the positive impact it has on your life. I heard some terrible news today from a friend and it’s just another reminder why insurance, and having the right insurance is so important. Have you ever tried to buy an auto policy after your carrier already told you your rates are going up because of an accident? Have you ever tried to buy homeowners or flood insurance when the hurricane is already en route to your house? Have you ever tried to buy health insurance after you were diagnosed with a life changing illness? 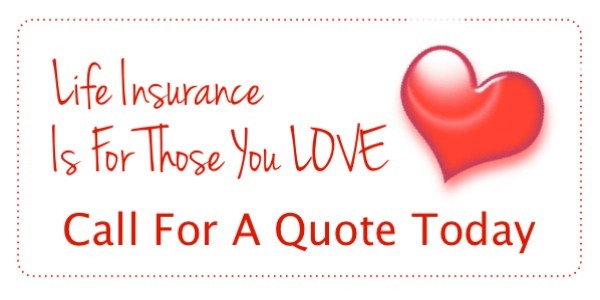 Have you ever tried to buy life insurance after a heart attack or catastrophic diagnosis? Today I was told by a friend of mine that someone was three days away from the period of time it would take for their life insurance policy to pay out, three days. That means if you die within what’s usually the first two years, all you get back is your premiums or maybe all the premiums you paid back at 110%. However if you buy an insurance policy BEFORE something happens, maybe even a convertible term policy while you’re still health you won’t be in that situation. Convertible term allows you to purchase based on your health TODAY and then in five or ten years (usually when your income has increased or you’ve paid off your debts) you can convert all or a portion of that policy into Whole Life or a more permanent insurance policy. We can talk about when you have time. However you don’t want to wait until AFTER you’ve been diagnosed to make a decision, and have to deal with much higher premiums and much more limited options. Let me help you find peace of mind. Or answer any questions you may have. Click the link below to get your own coverage, today. Want to know the worst part of my job? Telling people it’s too late. Here’s a fact. We will ALL die. Everyone of us. We will get sick and assuming we aren’t killed in an accident we will be too sick for anyone to insure us at some point. And you know who will be left to figure out the puzzle? YOUR KIDS. YOUR HUSBAND. YOUR WIFE. YOUR FAMILY. DO NOT do this to them. The most heart breaking of conversations that happen in my office are the ones that are too late. Work life insurance policies are great, but they don’t last beyond retirement, OR if you get sick, OR if you quit them OR if they let you go. Does that seem like a lot of variables to you? It does to me. But I HAVE A SOLUTION-Purchase a life insurance policy that YOU OWN, not your employer. You pay for it directly, you can see the policy and hold it, You can update beneficiaries easily as needed. Trust me and start something now, so your kids don’t have to beg someone later. Click on the picture for simple, easy ways to help pay for your life insurance. To set up a personal assessment and to get coverage in place that is the correct coverage for you and your family call 816-795-5977 or email jolson3@farmersagent.com to set up a meeting. We can meet in person at our office, at your home, or even talk over the phone. Fool’s Gold-What your employer did not tell you. Many people think that their employer is supposed to provide ALL their family’s benefits, including life insurance coverage for the employee, and maybe even life insurance coverage for the spouse and kids. You don’t own it. The company you work for owns it. You don’t control it. Has an employer ever changed their benefits plan? Did they consult you first? You don’t get to take it with you. Will you work at this job forever? Insurance Tip: Sit down with an agent and figure out the exact amount your need to cover your family correctly. This is YOUR responsibility NOT your employer’s. Make sure you cover 10-12 times your income OR 5 times your income + paying all your debts. As always if you would like to review all your options call or email and we can talk over the phone or set up a face to face meeting. We are here for you! Why is Life Insurance Important to Me? I’ve seen firsthand how important it is to have life insurance. My grandpa was always a hard worker, he saved and saved his whole life. He bought a house got married had kids and like most young people he didn’t think about how his life would be when he got older. He never thought that something could happen and take his life. He just lived his life to the fullest. My grandpa like most people had life insurance through his job. In 2007 my grandpa found out he had prostate cancer. They removed the mass hoping to have caught it early enough, but it had already spread to his bones. My grandpa already had polio from when he was a child so to add bone cancer on top of that was awful, he couldn’t walk he was always in pain, so he didn’t work and therefor he no longer had life insurance through his job. Last year I lived with my grandpa because most of my life he took care of me and in return I took care of him. When my grandpa finally passed in March of 2014 the cost of his funeral landed on me and my husband as a couple with a child in our 20’s to come up with $10,000 to get my grandpa cremated and to have a proper service. Thankfully we were able to get help paying for it. If we would have had to pay for it ourselves we wouldn’t have been able to celebrate my grandpa’s life the way we did.You never know what life will throw at you and even though you think even if your young or you have no kids nothing will happen and you don’t need life insurance, it can and you do! My husband was 26 when he got pneumonia. 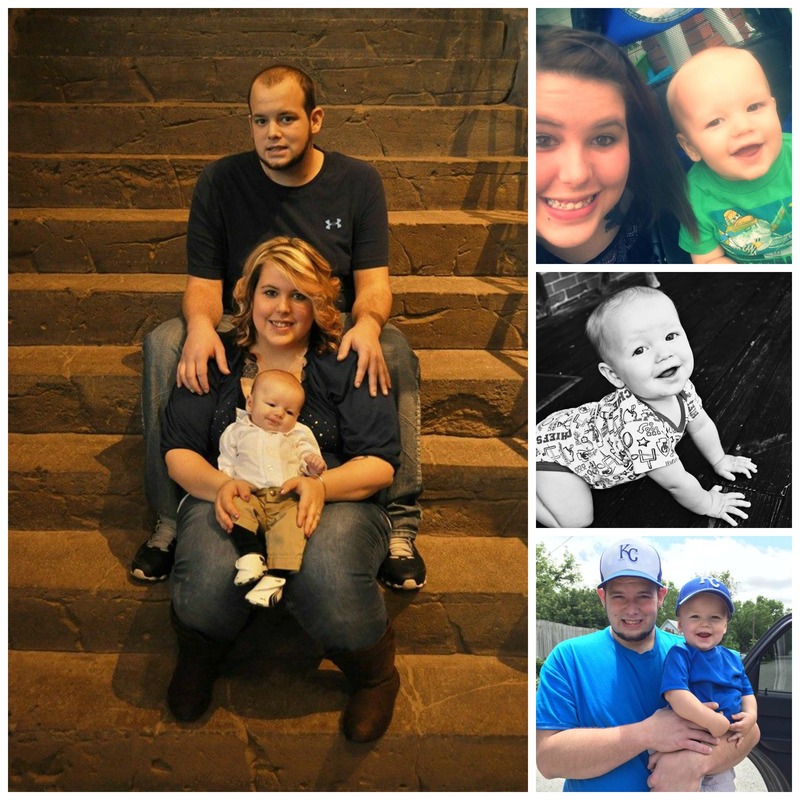 He was in the hospital for three months and the only thing keeping him alive was ECMO. Thankfully in our case he pulled through, but if he didn’t, as a single mom I would not have been able to afford a funeral or medical bills for him much less been able to keep the same standard of living without his income. It is seriously so important to make sure that the ones you’re leaving behind can have time to grieve and not worry about getting money to bury you. Life insurance isn’t for you it’s for the ones you love. Wedding season is just around the corner! And with all of that love and wedding planning in the air, it can be hard to think about the boring parts of a marriage. The best part of this? It doesn’t have to be hard! In fact, one short appointment can take care of every item on the list. Give us a call today to schedule a review. So you’ve decided that you need life insurance to protect your family; maybe the group life through your job wasn’t enough or you just decided that you wanted to be safe to have your own family protection plan vs. relying on someone else. Most life insurance policies require some type of exam by a paramedical professional. This is a free physical and blood work that is paid for by the life insurance carrier at no cost the client. They collect a small blood sample, urine sample and sometimes a short EKG. They will check cholesterol levels, blood pressure, liver enzymes, among other things. Here are a couple of tips to get the best rate for your policy. Depending on the policy you could be locking in this rate for 10 years, 20 years, 30 years or longer! Don’t eat overnight or at least four hours before the exam. Your previous meal should be healthy and well-balanced. Even if you’re a steak lover, consider a light meal and one high in fruits and veggies and low on saturated fats and fried foods. You may also be told not to drink anything up to four hours before the exam, but do drink plenty of water. It makes it easier for the examiner to find a good vein to get a sample. Avoid alcohol for at least 12 and preferably 48 hours before the exam, because it can elevate blood pressure and adversely affect elements of the blood work. If you are in otherwise good health and have your exam scheduled the day after a “fun night out” you even run the risk of being turned down for coverage, if the liver enzyme levels are elevated. Limit caffeine consumption 48 hours before the exam, and definitely no caffeine the day of the exam. It increases blood pressure, pulse rate and can provoke an irregular heart rate. This means staying away from coffee, tea and some soft drinks, cold remedies and pain medications. Salt can raise blood pressure by allowing the body to retain fluids, so limit its use in the three to four days before an exam. Fried foods or ones high in fat can raise your cholesterol. At least don’t go to the gym the morning of the exam, and preferably 24 hours before. Cardiovascular workouts can cause inaccurate levels of cholesterol levels, which can be another factor that can push you into a higher rating classification. You’ve probably had this happen at the doctor’s office or at a hospital: You’re nervous about having your blood pressure taken, so your blood pressure reads high the first time you take it. Wait a few minutes and take it again, and it goes down. Get a good night’s sleep, arrive early for the exam and take a few minutes to relax before your blood pressure is recorded. If that doesn’t work, ask for it to be rechecked at the end of the exam. Remember, life insurance underwriting also includes your medical history in addition to the lab work. Insurers are expecting average people to apply for coverage, not super-healthy people. Still, following these steps could help lower your rates a bit if any of your levels are borderline high or lows. Also when you schedule your exam, try for a weekday and not a Monday. A weekend of indulging in fatty foods and alcohol can boost cholesterol or liver enzyme levels on a Monday. Also if your work is stressful on Mondays that is another good reason to choose another day. To decide the amount of coverage and type of policy best for you, call 816-795-5977 or email jolson3@farmersagent.com to set an appointment. But life insurance is NOT ABOUT YOU. It’s about the PEOPLE YOU LOVE. And what better time than February to think about love! For one, life insurance is cheaper when you are young and healthy! With each birthday you’ll see your quote go up unless you lock in a great rate now. And you don’t want to look for life insurance after you have been diagnosed with an illness. Whatever your situation, sitting down and discussing your needs and budget with an agent is a great first step. Current client or not call us today to set up a free, no-obligation appointment!